Multi-mic echo cancellation to meet the most extreme certification requirements. Transform your headset into your personal assistant with voice command. The personal listening devices paradigm is shifting. 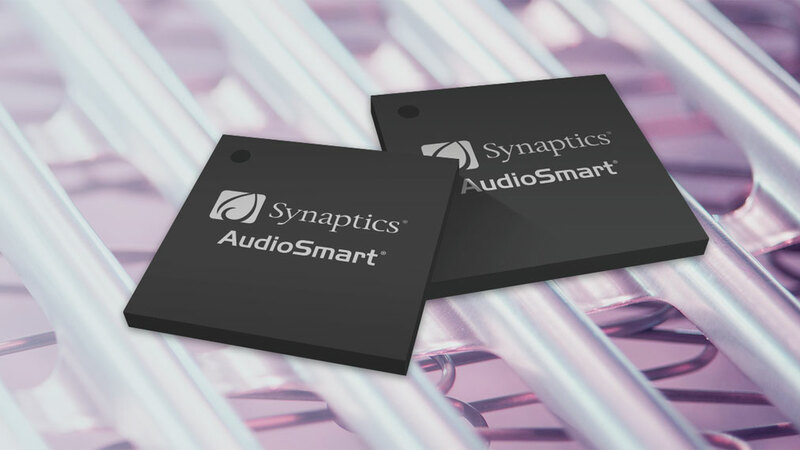 As the industry phases out the classic 3.5mm analog audio jack, a go-to for personal audio devices since the 1960s, Synaptics is making the transition to digital more seamless. We have codecs that redefine the capabilities of headsets and headphones. With USB Type-C connections, headphones have access to power, a crisp digital audio signal, as well as the ability to exchange data with the source device directly through the cable. Synaptics is unlocking the potential for greater innovation in the booming headphone market. Hit the road, jack. Synaptics is leading the transition from the 3.5mm headphone jack to digital audio, enabling advanced audio features in battery-free headsets. Synaptics is the leading supplier of office communication solutions and products, featuring Clear Voice for Skype For Business applications. Discover a new way to hear and interact with the world around you, all made possible by a truly wireless, in-ear personal assistant. Gain a competitive edge with immersive surround sound for gaming applications enabled by Dolby, DTS, and THX certification. Synaptics' advanced, low-power, high-resolution codecs enable greater innovation in the headset market.